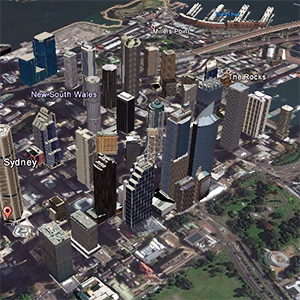 Explore Visicom 3D geodata tailored to 5G planning. 1 m resolution data provide highly accurate and precise input for efficient and accurate predictions of radio wave propagation in the core city. 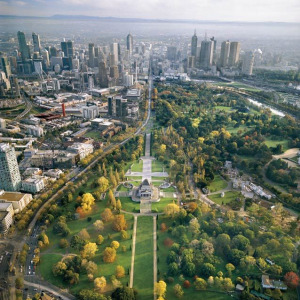 3D Model includes not only high-resolution buildings but also individual trees and their canopy height with 1-2 m accuracy. Start your 5G planning project with advanced quality geodata to have the best understanding of your complex urban environment. Europe: Barcelona (Spain), Athens (Greece), Brussels (Belgium). USA: Chicago, Sacramento, New York, San Francisco, Santa Clara, Euless. Asia: Malaysia, South Korea, Hong Kong, Singapore, China. Middle East: Dubai, Abu Dhabi (UAE). We support any RF tools format. Contact us to receive a free sample of 3D city Model. Our geodata for Hong Kong is the best solution for planning a 5G network. High-resolution, up-to-date map provides the valuable context—an advantageous difference between making informed decisions in the mm-wave environment and taking a guess. 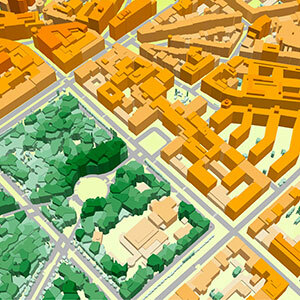 3D maps are essential for any smart GIS project. 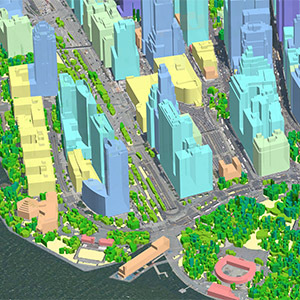 3D data enable creating virtual urban-utility platforms to make city management more efficient. 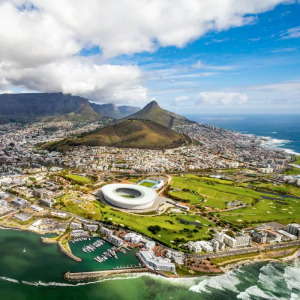 Visicom manufactures precise, geographically accurate and up-to-date 3D rendering of cities that contains all infrastructure features at various levels of detail. 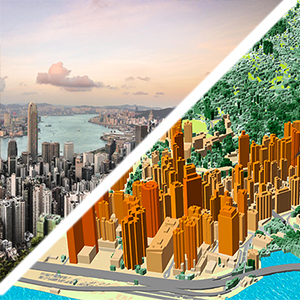 You can download for free a brochure of Hong Kong 3D map. 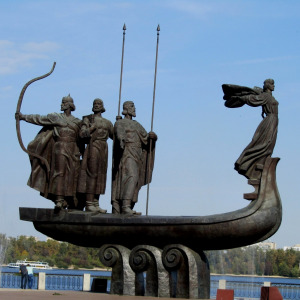 List of OTS 3D City Models for SEA Region. 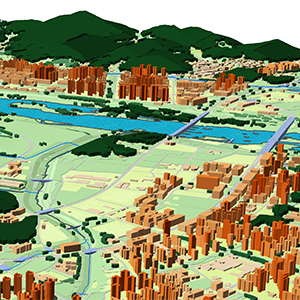 Please explore the 3D sample dataset of Hong Kong in Atoll, Mentum, ESRI formats. 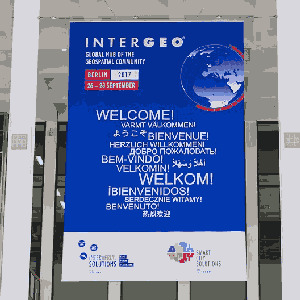 2.5D geodata or 3D geodata? From 5m to 10m resolution models. 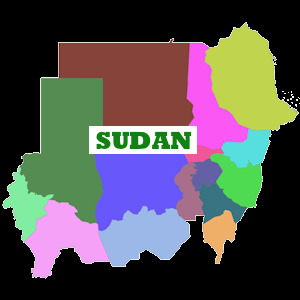 Usually, it’s used for the suburb and rural areas. Provide precise and cost-effective modelling of obstacles height over large areas. Individual buildings footprints, trees, bridges etc. and their heights are not included. 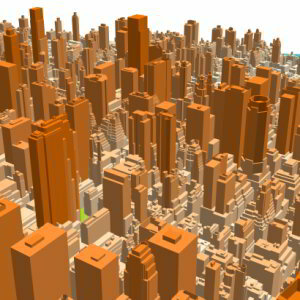 2.5D buildings: buildings and buildings blocks with assigned height attributes, 3m-5m accuracy. 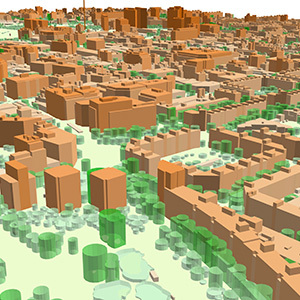 2.5D vegetation: vegetation polygons with assigned height attributes, 5m accuracy. DSM/DTM: 3-5m accuracy in terrain features. SOURCES: 1.5-2.5 m resolution Stereo satellite imagery. 1-2-5 m resolution geodata for highly accurate networks planning. 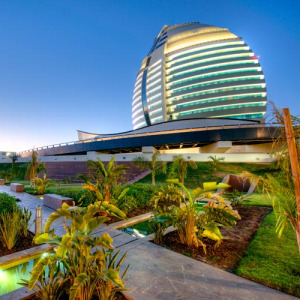 All individual features of roofs and buildings construction are provided. 3D vegetation or individual trees are included. 3D buildings: 1-3 m accuracy in height, with small roof details. 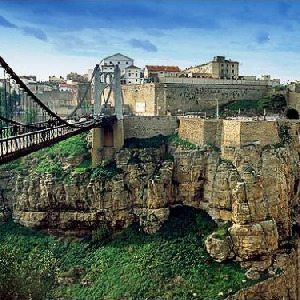 3D bridges: 1-3 m accuracy and detailed engineering construction. 3D vegetation: detailed vegetation with assigned height attributes. Clutter/land use: includes all land-use features and detailed vegetation layer. SOURCES: 0.3-0.5-1 m resolution stereo satellite imagery, air photos, Lidar data. Send us your request for more information and free data samples of 3D and 2.5D models. Visicom produces a range of 3D building products for 3D visualization, CAD, GIS application as well as for architectural modeling. 3D modeling is a highly important part in the scenario of architecture design industry to provide clients with a clearer and realistic look. With 3D architecture models, you can easily see the effect in overall design without incurring much cost. 3D Building products are delivered in formats ready for most 3D application tools like Rhino, ArcGIS and CAD compatible formats. If you need to plan the 5G network we have the best solution. Visicom will be able to help you with this objective. 3D SOUTH KOREA project is the latest achievement for our geodata portfolio. Please explore samples of South Korea. 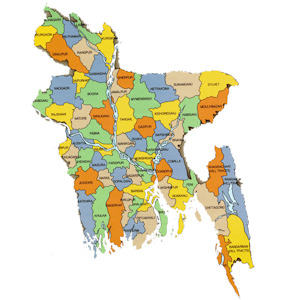 The 3D city models covering 1064 SQ.KM area of 13 cities across 4 provinces. 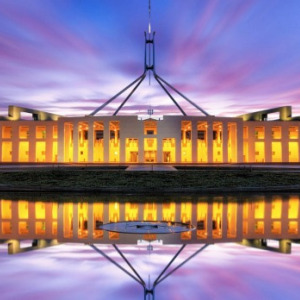 Budget 3D solution for suburbs and rural areas. 3D geodata accuracy - 3-5 m in X,Y,Z. 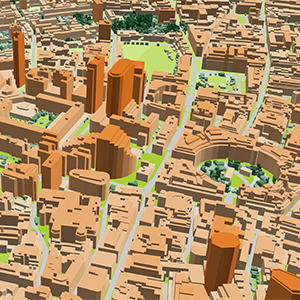 The free data sample of 3D map tailored for 5G planning. South Korea 3D Geodata contains highly accurate 3D Buildings with roof details, Clutter/Land Use/Land Cover Model, Vector model, Digital Terrain Model (DTM), Digital Surface Model (DSM), Obstacles Heights (Clutter Heights) Model. Visicom focusing on the telecom market for more than 18 years, that’s why you can be sure of the quality of our product. 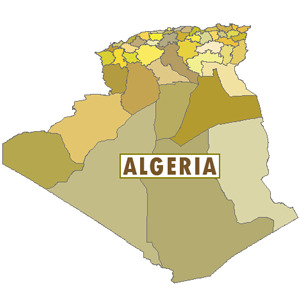 Our digital mapping solutions are widely used for world global companies. Compatible with Atoll, Mentum Planet, ICS Telecom or any other RF formats. 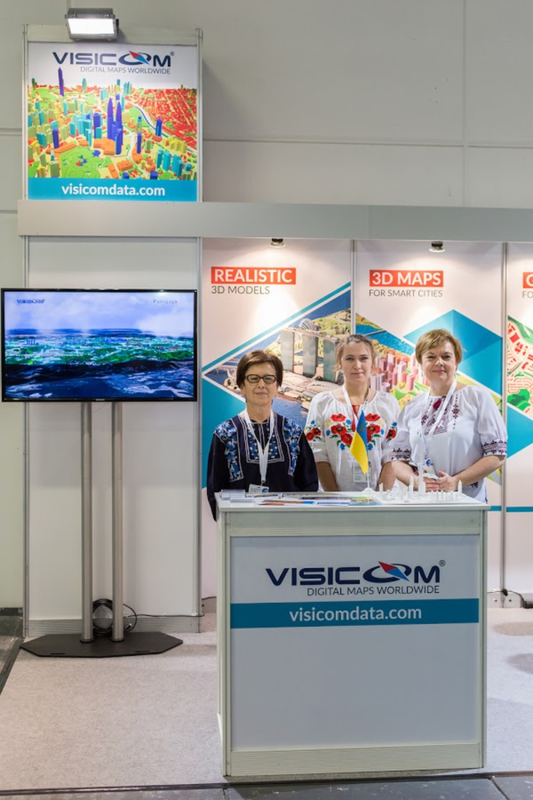 Visicom has finished the 2D Regional model that would be used as a digital map for radio frequency planning as part of Telecom project provided by the Romanian mobile operator (telco 3d map). 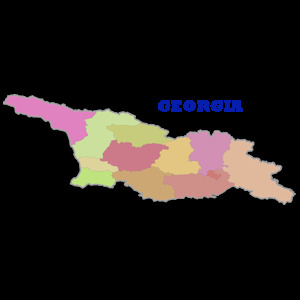 The Romania digital map covers the whole territory of the country (238 000 sq.km) with 10m resolution quality. It's the best solution for the initial network planning and network planning in rural areas. 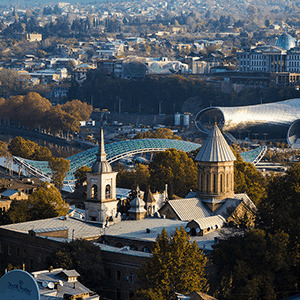 In order to satisfy the upcoming 5G implementation were additionally produced the highly accurate 3D models with a 1-2 m resolution of the biggest Romania cities. 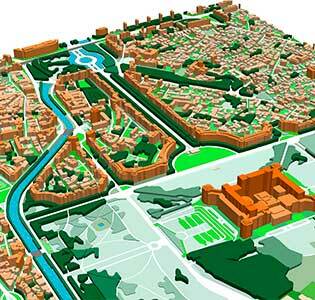 Please explore more regarding "Romania 3D city digital maps" and "Bucharest 3D city model". 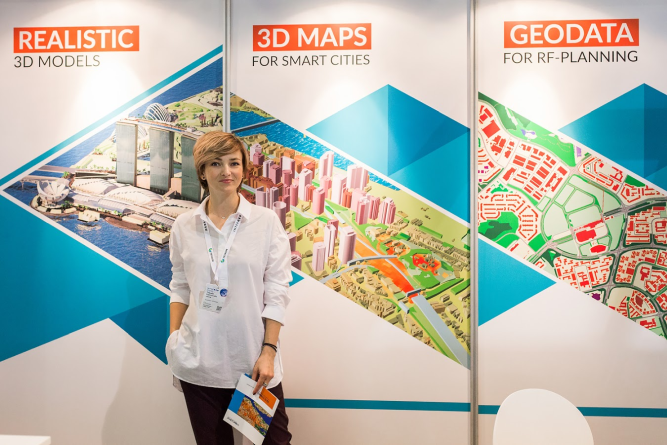 Romania digital model could be used as a GIS and base map for LTE planning and simulation, IoT, land planning, population distribution modelling. 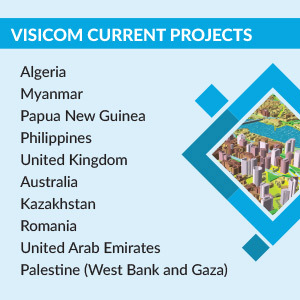 Visicom enhanced coverage at the US market and has finished 8 map projects in 2018 for 5G, IoT and smart city services. 3D geodata accuracy is 1-2 meters in X,Y,Z along with over than 99% completeness of buildings layer for each city. For production were used neural networks algorithms with semiautomatic post-processing to ensure the positional and vertical accuracy of buildings and trees. 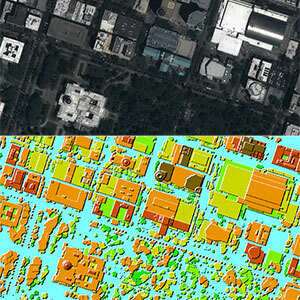 Sacramento 3D City geodata could be recalculated in any customized data format. Digital Terrain Model (DTM), Digital Surface Model (DSM), Highly accurate 3D Buildings with roof details, 3D vectors of Vegetation and Bridges, Vector Trees Model, Clutter/Land Use/Land Cover, Obstacles (Clutter) Heights, transportation network/roads, vector data layers and Population map. 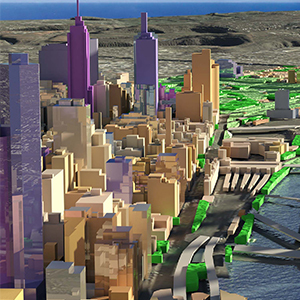 3D building footprints, built-up-blocks bridges, overpasses, roads, vegetation (classified by types), POI (points of interest), hydrography, population distribution models. 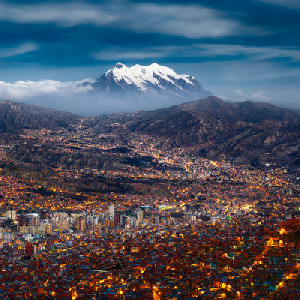 Our geodata catalogue includes over 4600 cities and 110+ countries. Visicom finished the huge Thailand Map Project for Thai mobile operator and extend the 3D digital map coverage over 86 biggest Thailand cities with a total area of 4310 sq.km. Digital Terrain Model (DTM), Digital Surface Model (DSM), Highly accurate 3D Buildings with roof details, 3D vectors of Vegetation and Bridges, Clutter/Land Use/Land Cover, Obstacles (Clutter) Heights, transportation network/roads, vector data layers and Population map. 3D geodata accuracy is 2-3 meters in X,Y,Z along with over than 98% completeness of buildings layer for each city . 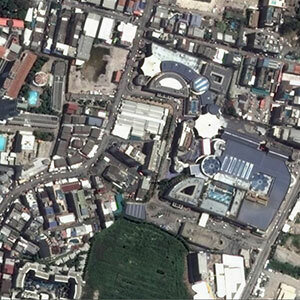 Thailand 3D City geodata could be recalculated in any customized data format. Download the brochure with detailed coverage of Thailand city maps in order to explore more details. 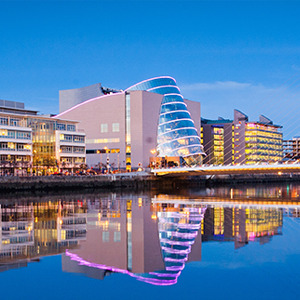 Pilot digital map projects for 5G planning in the USA, UAE, Singapore, South Korea, Nigeria, Belgium. Visicom geodata is fully compatible with the requirements of RF Planning (LTE, 4G, 5G), IoT, Smart City projects. Download Q3 2018 projects overview for more information . 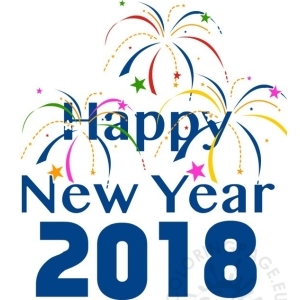 Contact us and order free data samples. 3D Model of Singapore is a project for 5G implementation and test drive. We used the last available high-resolution satellite images to meet the advanced requirements of new-generation networks. Visicom’s 3D data meet the features of 5G signal sensitivity and provide absolutely critical accuracy required for modelling precise 5G network propagation characteristics. Download the free 3D sample of Singapore model and Singapore 5G report. 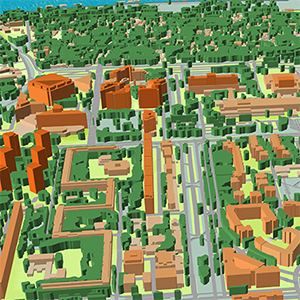 1m resolution 3D Maps with detailed 3D Trees layer were produced for testing, planning and trials of 5G Networks. Small cell geodata. 5G cell planning in mm wave sprectrum requires advanced accuracy for geodata, namely using of such map layers as tree (canopy) heights and 3d buildings with detailed roof details both in vector and matrix representation. 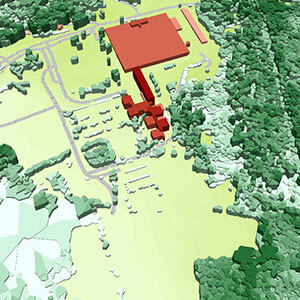 Download the 3D Geodata overview. Send us your request for more information or for free data sample. 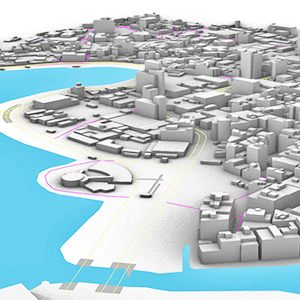 80 sq,km of Havana 3D city map (Cuba) was the produced for one of the local telecom companies. It is one more step of Visicom intensifying walk into Americas map market. 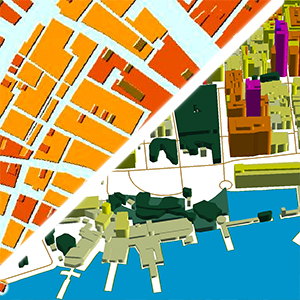 Havana Geodata Dataset contains: Digital Terrain Model (DTM), Digital Surface Model (DSM), highly accurate 3D Buildings with roof details, 3D Vegetation and Bridges, Clutter/Land Use/Land Cover Model, Obstacles Heights (Clutter Heights) Model, Vector model, Transportation networks and Population map. 3D geodata accuracy – 2-3 m in X,Y,Z. 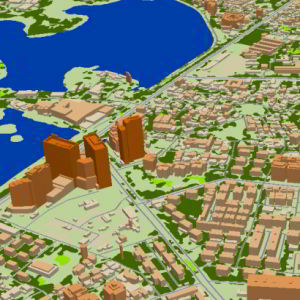 In addition, Havana 3D map package could be used for any GIS, IoT planning projects, all data formats are supported. 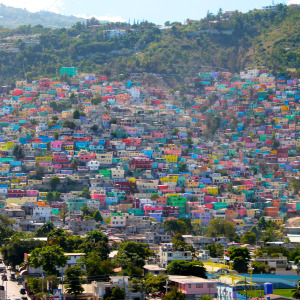 Download the free data sample of Havana digital model in order to explore more details. 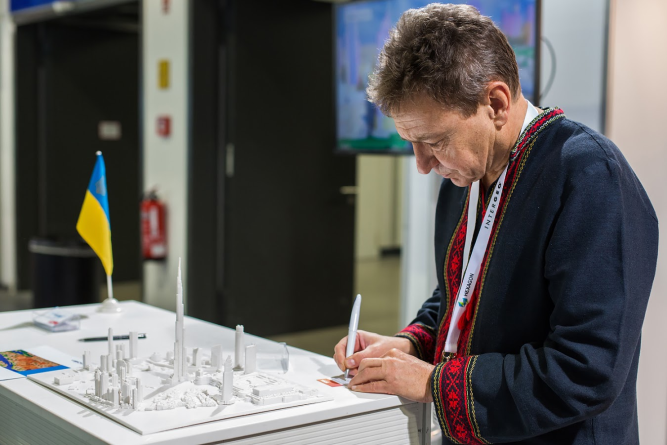 3D City model of Yangon covers 503 km2. 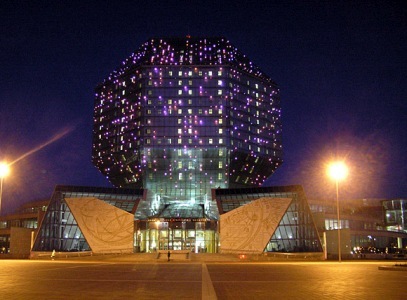 The project was completed for 2 local telecom operators considering their specific RF planning requirements. 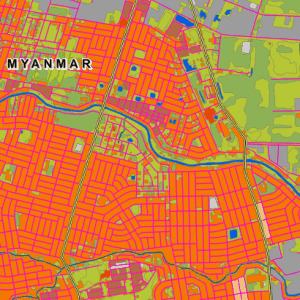 Download the free data sample and booklet about project "RF map of Myanmar" to see more details. 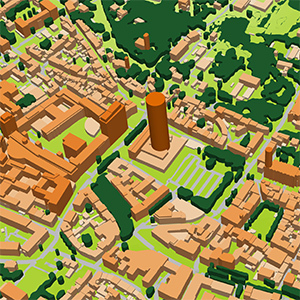 In urban areas with less propagation distances, dense and high-rise buildings, sometimes complicated relief, the accurate 3D geodata is an essential component of RF design: accurate simulation to support deployment, operation and optimization of mobile networks. 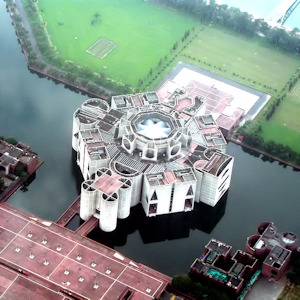 3D City model of Mandalay covers 215 km2. We use recent vintage stereo imagery 0.3 m resolution to create 2 m high-resolution geodata in LOD2 quality. 3D geodata accuracy – 2-3 m in x,y,z. Digital Surface Model (DSM), Digital Terrain Model (DTM) and Digital Elevation Model (DHM) were produced basing on 3D terrain features which were derived from overlapping satellite imagery taken from two different locations (stereo imagery). Clutter/Land Use/Land Cover describe the surface and built-up features which influence on radio wave propagation. They are classified into different classes: classes of built-up areas, water classes, classes of landscape and vegetation. 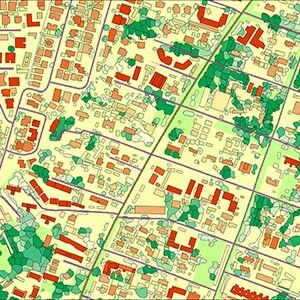 Urban Land Use map is produced from multispectral satellite imagery by method of automatic classification with subsequent manual photo-interpretation and modification. 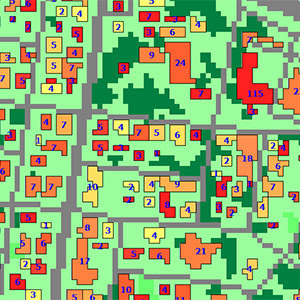 Usually outside the areas of 3D city coverage, operators still require geodata for RF planning and optimization in suburbs. We propose 2D Urban Model, 2.5D Urban Models, 2D Regional Models with clutter height with 5, 10, 20 m resolution, with DTM, clutter (land use) and vector layers. 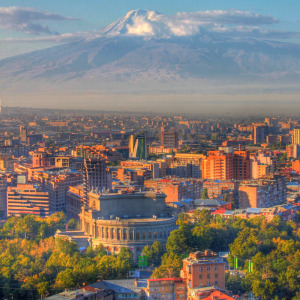 Our geodata catalogue includes over 4000 cities and 60+ countries. 2D Regional model is a medium-to-low-resolution database designed for large-area RF planning. It's the ideal solution in initial network planning and geodata for network planning in rural areas. 2D Regional RF map of Myanmar covers 676578 km2. We have used recent vintage imagery Sentinel of 10 m resolution to create 20 m resolution geodata. 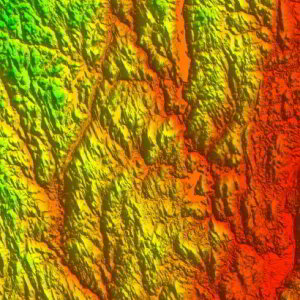 SRTM/ASTER DEM data and available topo maps were processed for DTM/DSM production. Clutter/Land Use/Land Cover are classified into different classes: classes of built-up areas, water classes, classes of landscape and vegetation. 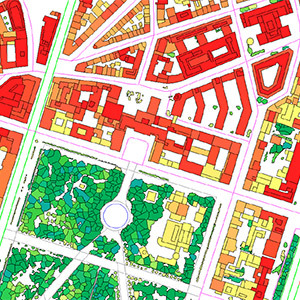 Land Use map was produced from multispectral satellite imagery by the method of automatic classification with subsequent manual photo-interpretation and modification. 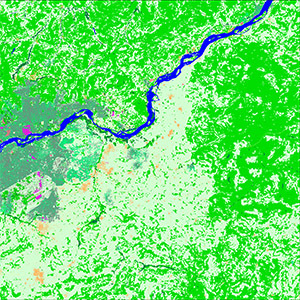 Download the booklet about the project "RF map of Myanmar" and free data sample to see more details. Visicom population map methodology for model calculation. Papua population map produced for use in RF planning demand as raster matrix in the GeoTIFF and GRD formats. The dataset could be presented as a vector map with an assigned population quantity and density per city blocks. 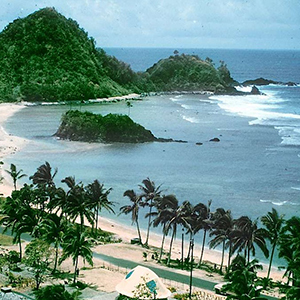 The resulting Papua Population map dataset could be used for such demands as national economic planning, accomplishing public services, cultural construction tasks, backhaul planning, preliminary planning of mobile or telecom networks. In addition, the population map could be integrated with Visicom Countrywide Model for Papua New Guinea including datasets for the whole country: 3D maps for biggest cities, Vector model, Clutter Model, DTM, Heights Model. Palestine (West Bank) 3D geodata are produced to be used in any RF planning tool etc. 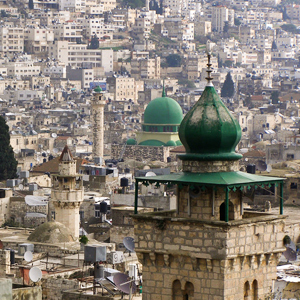 Highly accurate Palestine (West Bank) building vectors with associated height values as attributes are captured through three-dimensional feature extraction in our photogrammetric software. Clutter/Land Use/Land Cover describe the surface and built-up features which influence on radio wave (RF) propagation. Land Use map is produced from multispectral satellite imagery by the method of automatic classification with subsequent manual photo-interpretation and modification. Please download free 3D data sample for Gaza with 1m resolution . Sample dataset presented in Atoll, Asset, Planet formats. 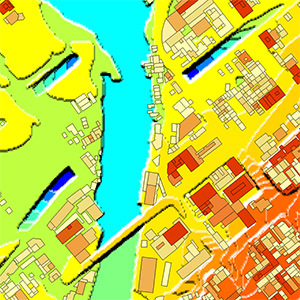 We propose 2D Urban Models, 2.5D Urban Models, 2D Regional Models with 5 m and 10 m resolutions. 3D maps of cities are fully compatible with Visicom 2D Urban maps of Palestine (West Bank), Visicom geodata for IoT, LTE, smart cities, etc. 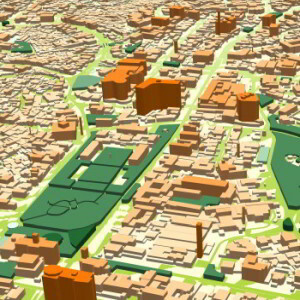 Data contain Digital Terrain Model (DTM), Highly accurate 3D Buildings with roof details, 3D Vegetation and Bridges, Clutter/Land Use/Land Cover, Obstacles (Clutter) Heights, Transportation networks and Population map. 3D geodata accuracy – 2-3 m in X,Y,Z. 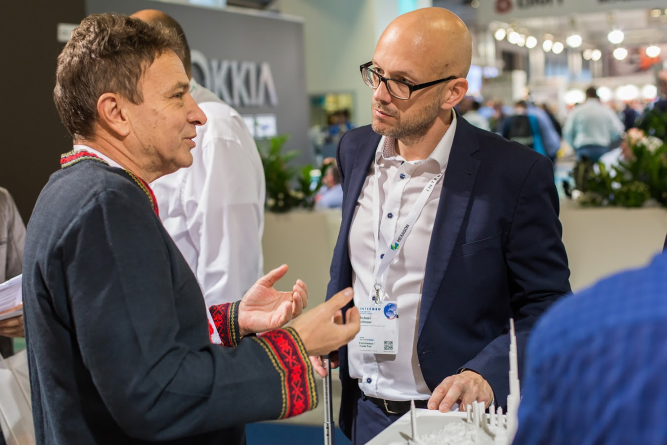 Our geodata made specifically for telecom industry provide precise knowledge about the 3D environment in order to help operators design and improve the performance of their radio networks. 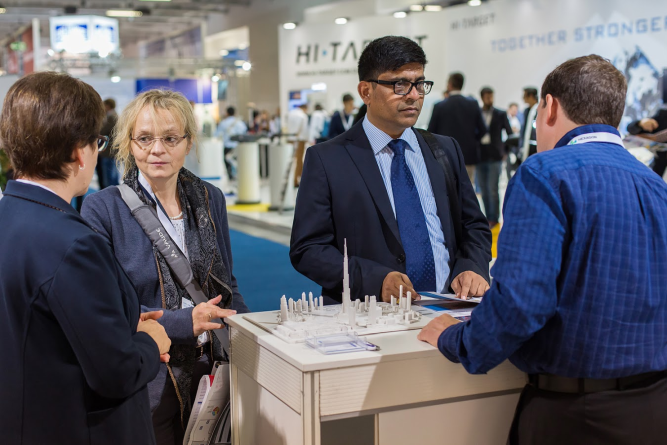 3d network planning for 5g. Learn more about 2.5D Urban Models for suburbs as more cost-effective solution, 2D Models for regions and countrywide coverage. 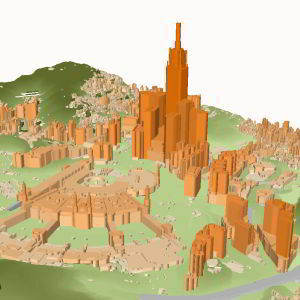 Download the free data sample of Bucharest digital model in order to explore more details. 410 sq,km of Bucharest city (Romania) was the first 3D map among other 3D mapping models for 9 biggest Romania cities. Bucharest 3D model produced for one of the biggest Romanian operators for 4G network development using Atoll RF planning tool. 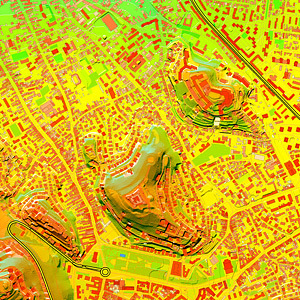 Bucharest Geodata Dataset contains: Digital Terrain Model (DTM), Digital Surface Model (DSM), highly accurate 3D Buildings with roof details, 3D Vegetation and Bridges, Clutter/Land Use/Land Cover Model, Obstacles Heights (Clutter Heights) Model, Vector model, Transportation networks and Population map. In addition, Bucharest 3D map package could be used for any GIS, IoT planning projects, all data formats are supported. 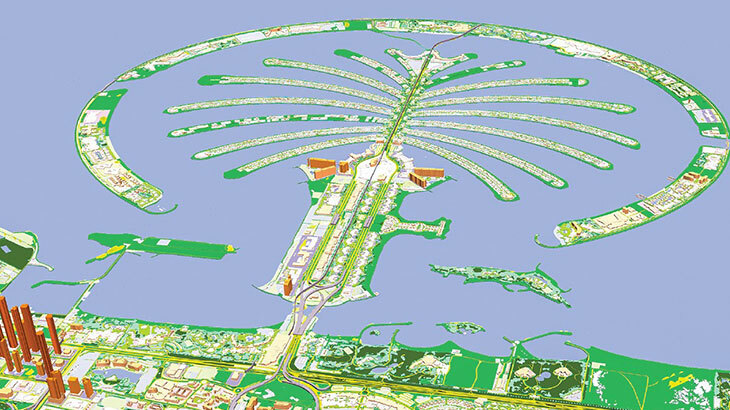 Download Visicom’s overview of the mentioned Digital mapping Projects for more information . 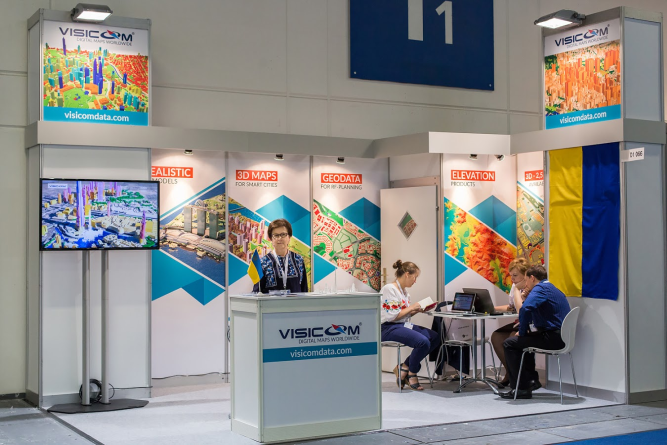 VISICOM INVITES PROFESSIONAL RESELLERS FOR THE DISTRIBUTION OF DIGITAL MAPPING PRODUCTS WORLDWIDE FOCUSING ON TELECOM MARKET. If you would like to become a distributor of Visicom products, please contact us: radioplan@visi.com.ua. Please feel free to contact us in order to get additional information. 2D Regional model is a medium-to-low-resolution database designed for large-area RF planning. 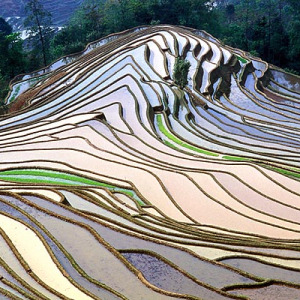 It's the ideal solution in initial network planning and network planning in rural areas. 2D Regional RF map of SAR (South African Republic) cities (2D city models) covers more than 11314 sq.km. 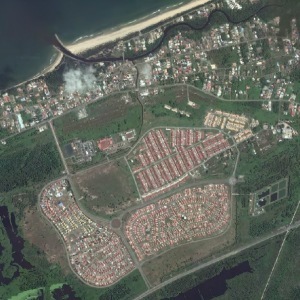 We have used recent vintage imagery Sentinel of 2 m resolution to create 5 m resolution geodata. 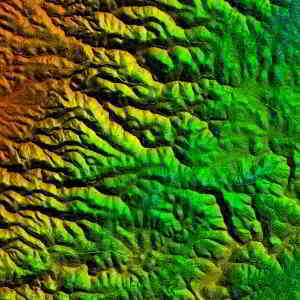 SRTM/ASTER DEM data and available topo maps were processed for DTM/DSM production. Clutter/Land Use/Land Cover are classified into different classes: classes of built-up areas, water classes, classes of landscape and vegetation. Land Use map was produced from multispectral satellite imagery by the method of automatic classification with subsequent manual photo-interpretation and modification. Data can be delivered in all major RF planning formats. Regional Models may be integrated with 2D Urban ones to improve their accuracy in urban and suburban areas. 2D Regional model is a medium-to-low-resolution database designed for large-area RF planning. 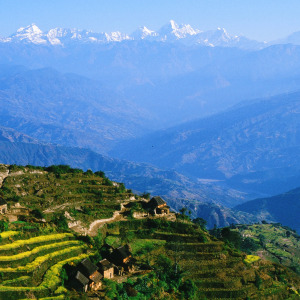 It's the ideal solution in initial network planning and network planning in rural areas. 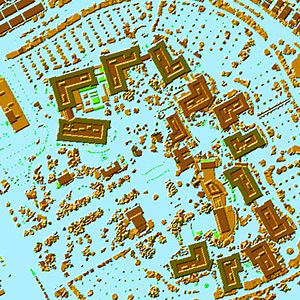 2D Regional RF map of West Bank cities (2D city models) covers more than 230 sq.km. 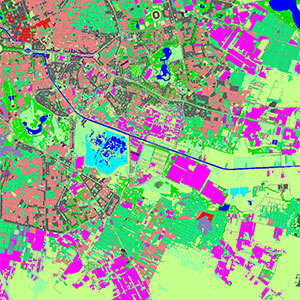 We have used recent vintage imagery Sentinel of 1 m resolution to create 2 m resolution geodata. Clutter/Land Use/Land Cover are classified into different classes: classes of built-up areas, water classes, classes of landscape and vegetation. Land Use map was produced from multispectral satellite imagery by method of automatic classification with subsequent manual photo-interpretation and modification. 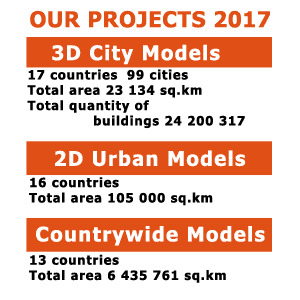 Total area of the 3D models of Indonesian cites covers more than 1900 km2. In urban areas with fewer propagation distances, dense and high-rise buildings, sometimes complicated relief, the accurate 3D geodata is an essential component of RF design: accurate simulation to support deployment, operation and optimization of mobile networks. We use recent vintage stereo imagery 0.3 m resolution to create 2 m high-resolution geodata in LOD2 quality. 3D geodata accuracy – 2-3 m in x,y,z. Download the free data sample of Bandung city model and booklet about project "RF map of Indonesia" to see more details. 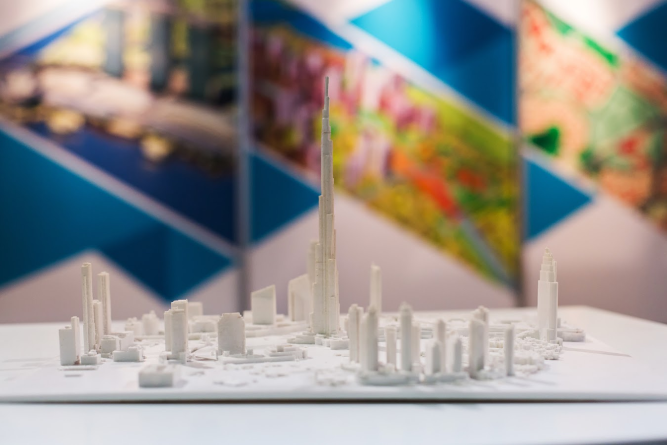 3D City model of Jakarta covers 1727 km2. Download the free data sample of Jakarta city model and booklet about project "RF map of Indonesia" to see more details. 2D Regional RF map of Indonesia covers 1 920 000 km2. We have used recent vintage imagery Sentinel of 10 m resolution to create 20 m resolution geodata. SRTM/ASTER DEM data and available topomaps were processed for DTM/DSM production. Clutter/Land Use/Land Cover are classified into different classes: classes of built-up areas, water classes, classes of landscape and vegetation. Land Use map was produced from multispectral satellite imagery by method of automatic classification with subsequent manual photo-interpretation and modification. Download the booklet about project "RF map of Indonesia" and free data sample to see more details. 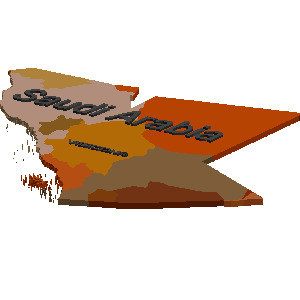 3D City model of Mecca (Makkah) covers 193 km2. We use recent vintage stereo imagery 0.3 m resolution to create 2 m high-resolution geodata in LOD2 quality. 3D geodata accuracy – 2-3 m in x,y,z. Download the free data sample and booklet to see more details. 2D Regional model is a medium-to-low-resolution database designed for large-area RF planning. It's the ideal solution in initial network planning and network planning in rural areas. 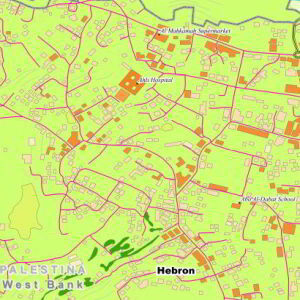 2D Regional RF map of West Bank (Palestine) (country model) covers 6 911 sq.km. We have used recent vintage imagery Sentinel of 10 m resolution to create 20 m resolution geodata. SRTM/ASTER DEM data and available topomaps were processed for DTM/DSM production. Usually outside the areas of 3D city coverage, operators still require geodata for RF planning map and optimization in suburbs. We propose 2D Urban Model, 2.5D Urban Models, 2D Regional Models with clutter height with 5, 10, 20 m resolution, with DTM, clutter (land use) and vector layers. 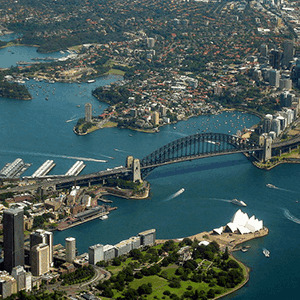 Our geodata catalogue includes over 4000 cities and 60+ countries. 3D model of Karary – 5 sq km. 3D model of Port Sudan – 60 sq km. 3D model of Wad Madani – 49 sq km. During the first quarter of 2017, we focused on the completion of projects all over the world: from Australia till Europe. 2D Regional Models of Australia (partially coverage), Bangladesh, Sudan totally covering an area more than 2 200 000 km2. Download the booklet for more information on recent projects of Visicom. 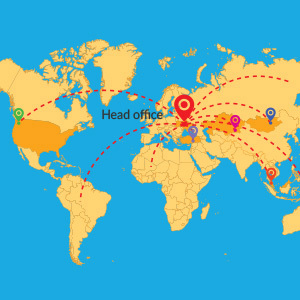 Our team is always in touch to provide you with all the necessary information about our products, to assist you with pre-sales enquiries, commercial offers, and customer support. Visicom Population Map is an important data layer we can provide additionally to our usual geodata sets for RF-planning (DTM, DEM, LandUse, Vector). 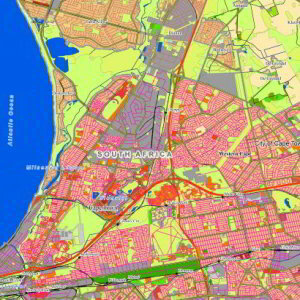 Population Map or Population Distribution Model can be delivered in resolution from 2 to 50 m and be fully compliant with the resolution of your project – City, Urban or Regional Planning.